Like many readers of this blog, after I tell people that I’m a musicologist I’m frequently asked about what type of music I study. I usually answer something like “mostly popular music and jazz,” which is then followed by a question asking what type of popular music I write about. Despite having been asked this question many times, I have to brace myself at this point and respond that I don’t really write about a type of popular music; rather I write about the process of grouping music into “types.” After the initial grimace of bewilderment flits across my interrogator’s face, I apologize for what may seem like a very abstract preoccupation. Following a bit more explanation, however, the mood tends to lighten, and the person I’m talking to often reveals that this is something that they too have contemplated. 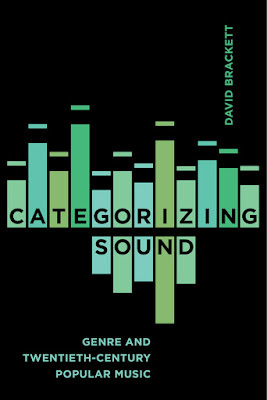 The book I am previewing here, Categorizing Sound: Genre and Twentieth-Century Popular Music, is the result of many years of studying how musical utterances come to be grouped together and why. My fascination derives in part from how musical categories (or genres) of popular music exist in an odd kind of limbo in public and scholarly discourse. On the one hand, musicians and consumers often resist requests to categorize themselves, insisting that their tastes are unclassifiable. It is common to hear discussions that have invoked the idea of genre end with the declaration that musical genres do not really exist, that they are mere fabrications of the music industry. Yet despite these disavowals, the use of genre labels to describe taste continues to return in a wide variety of contexts. For example, on an episode of the television series, Glee, the character Mercedes (who is African American) explains to the character Puck (who is white) that a romance is simply not in the cards: “It’s never going to work. You’re Top 40 and I’m Rhythm and Blues.” Even songs confirm the quotidian value of genre: Lonnie Mack proclaimed in 1988 that he was “too rock for country, too country for rock ‘n’ roll” in a recording with the same title. And no listing of “musicians wanted” ads (i.e., musicians looking for other musicians to play with) could function without an extensive listing of genre labels in order to indicate the musicians’ interests to one another. These anecdotes illustrate that the issue of genre is complex, possibly contentious, and difficult to escape. The exchange from Glee, Lonnie Mack’s song, musicians wanted ads, and many other texts suggest that the question of genre in popular music is often inextricably tied to how people identify with different types of music. Such genre designations indicate or imply the assumed audience for a particular type of music, and frequently raise questions about who produces and consumes the music. Categorizing Sound asks how relationships between categories of music and people are formed. How do they become naturalized to the point where they are taken-for-granted, to the point where it becomes difficult to imagine that a particular label, a set of musical practices, routines, and gestures, a group of people, visual images, and social and political connotations, were ever not joined together? The book begins by tracing the emergence of “homological identifications” (how categories of music are associated with an extant demographic group) in popular music in the early years of the twentieth century. These were formed first in the now-almost-forgotten category of “foreign music” marketed mainly to European immigrants, and then quickly applied to the formation of “race” (connoting African-Americans) and “old-time” (connoting white, rural Southerners) music. Several chapters are devoted to the 1920s, when such processes first crystallized, and are followed by chapters that focus on the 1940s, the mid-1960s, and the early 1980s, all periods during which popular music categories in the U. S. underwent a controversy or crisis. These chapters dealing with the post-1920s are largely concerned with the relationships between popular music associated with African Americans and that associated with rural, white Americans in relation to the rather more amorphous assemblage that I refer to as the “mainstream.” The argument is that particular articulations of music and people are not natural or inevitable; and that categories respond to emerging concepts about sounds and social groups, and generate effects that enter into musical practice and the role of music in other types of social interactions, thus creating a feedback loop, a circular process that blurs the lines between the ideas of power imposed from above and the grassroots creation of musical meaning. The idea for the book can be traced back to debates in the early 1990s in the humanities and social sciences around the notions of essentialism and anti-essentialism. From the attribution of stereotypical characteristics and putative biological differences thought to map directly onto a demographic group (“essentialism”), some academics moved to the disavowal that any link existed between cultural and practical activities and a demographic grouping (“anti-essentialism”). As sympathetic as I was to the basic tenets of anti-essentialism, such a move seemed over-simple. Alternatives to the stark binary of essentialism/anti-essentialism were proposed by scholars such as Paul Gilroy, who coined the term “anti-anti-essentialism” in his book, The Black Atlantic (1993). Music was particularly important to Gilroy’s notion of a Black diasporic identity due to its ability “to create a model whereby identity can be understood neither as a fixed essence nor as a vague and utterly contingent construction.” And even though Black identity “is often felt to be natural and spontaneous, it remains the outcome of practical activity: language, gesture, bodily significations, desires” (p. 102). Kyra Gaunt expanded upon Gilroy’s insights in her ethnographic study, The Games Black Girls Play (2006), in which she studied how a sense of black musicality becomes embodied and enculturated through repetition at a young age among African American girls via rhyming games. The continued pertinence of this debate over race and identity can be seen in social justice movements such as Black Lives Matter, which counterposes the lived experience of systemic racialized violence by African Americans with proclamations that we have entered a post-racial society where “color-blindness” should be the order of the day. In my studies of popular music, I found examples of anti-anti-essentialism in genres such as rhythm and blues, soul music, funk, and hip-hop—which had strong connotations of African-American-ness—and country music—which connoted rural, white people from the U. S. South—even if such designations did not cover everyone involved in producing or consuming these musics. I turned to the history of popular music categories, with its sudden ruptures and its enduring continuities, because of the power these categories hold in the daily texture of contemporary musical life. Categorizing Sound is a history of how this pervasive power took root, and of the many sites through which it makes itself felt. Perhaps there is a hint here, however, not only of ideas about how to understand popular music categories from the 1920s to the present, but of a utopian gesture towards the future. For if popular music categories are made without the conscious imposition of an agent’s will (a point that I elaborate in the first chapter of the book), then these categories may be unmade as well. And if this is true for categories of popular music, then what of the larger social categories in which the musical categories participate, with those larger categories’ asymmetrical apportioning of resources and opportunities? Even if we cannot will a change to occur, we may live to recognize when we reflect back to earlier times that we do, in fact, know that we are living within a new, unforeseen arrangement of genre. Although we do not know what form this will take, we do know that a transformation of the arrangement of musical categories will be related to a reclassification of social categories. And that might not be so bad. 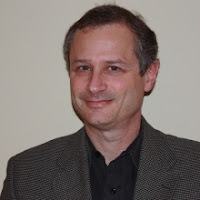 David Brackett is Professor of Music History and Musicology in the Schulich School of Music of McGill University. His publications include Interpreting Popular Music (Cambridge, 1995; repr. University of California, 2000), The Pop, Rock, and Soul Reader: Histories and Debates, 4th ed. (Oxford, 2014), and Categorizing Sound: Genre in Twentieth-Century Popular Music (University of California, 2016). Prior to being categorized as a musicologist, Professor Brackett was active as a composer and a freelance guitarist. Therefore, it is important for songwriters to be adept at the unique components of different musical genres.